The Council of Canadians is calling for the removal of Investor-State Dispute Settlement (ISDS) provisions in NAFTA. 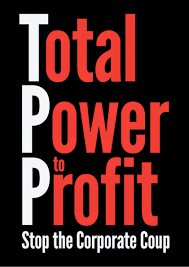 NAFTA’s Chapter 11 grants private investors from one country the right to sue the government of another country if it introduces new laws, regulations or practices – be they environmental, health or human rights – that might cause corporations to lose their anticipated profits. To the best of our knowledge financial services are not being negotiated in NAFTA, and financial institutions will not have access to ISDS claims under NAFTA, but the special ISDS power of large corporations to challenge our government’s policies is of great concern. • Constrain governments’ ability to ban risky financial products – including those not yet invented! • Empower financial institutions to launch ISDS claims against governments. The draft of TISA’s Financial Services chapter sets out rules that would assist the expansion of financial multi-nationals into other nations by preventing regulatory barriers. The US has been particularly keen on boosting cross-border data flow, which would allow uninhibited exchange of personal and financial data. This entry was posted in Corporate Rights Agreements, Council of Canadians and tagged Comox Valley Council of Canadians, ISDS provisions, NAFTA, TISA, TPP, Trade in Services Agreement, TransPacific Partnership by riverside11. Bookmark the permalink.